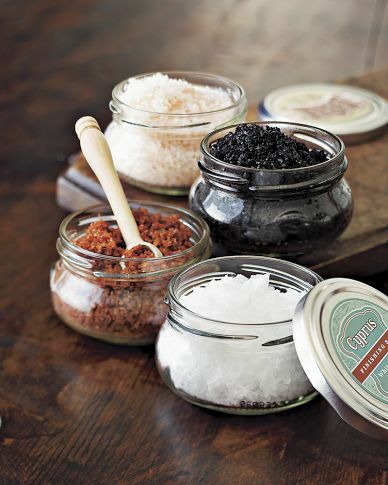 If you really want to go to town, check out the spices at Williams-Sonoma. They have cool things like Porcini Mushroom Sea Salt, Meyer Lemon Peel and Australian Pink Sea Salt. I tried the Porcini Mushroom Sea Salt last night on a tuna burger - it really transformed the flavor!